Paul, the Apostle to the Gentiles, presented the Gospel of Grace - by grace through faith + nothing. Unless you distinguish the two gospels from each other, it will cause confusion when reading the New Testament. What do you mean by "The Gospel of the Kingdom is what Jesus preached and what "the Twelve" preached"? What is this "gospel of the kingdom"? There are some who claim only the writings of Paul are for us and only they present the Gospel we are to follow. The man seems to be into the dispensational thinking. The Kingdom being preached to the Jew, and the Gospel of Grace preached to the Gentiles. Myself--I don't go along with it. It's a teaching promoted by Les Feldick...if anyone is familiar with his television program. Something that goes hand-in-hand with these "two" gospels is that the Jews were saved differently than Gentiles also. I can only speak for what I've heard, but from what I understand...until Paul came along, the Jews were saved by believing that Jesus was the Christ and by being baptized. I've even heard the claim that the death, burial, and resurrection wasn't preached by Peter on the day of Pentecost. The only difference between the gospel that Peter preached and the gospel that Paul preached was that Peter emphasized (to the Jews) that they had crucified their Lord/King/Messiah. Paul preached Jesus the Lord who was crucified to the Gentiles. It was the same Jesus Christ and the same gospel though. With that said, I do see a difference between "the gospel of the kingdom" and "the gospel of grace"...not a different way of salvation though. The gospel of the kingdom is simply the good news that Christ's kingdom is at hand, and those who are saved will get to enter that kingdom. I went to the website, looked at the charts, and felt saddened that a person who truly believed the KJV was so mixed up. Paul and Peter preached the same gospel (1 Corinthians 15:1-6). Justification is by grace through faith in any dispensation. This includes the Tribulation Period. Sad to say, these hyper dispensationalists are truly mixed up. Worse yet is their dogmatic stance that they are absolutely right so they reject all Scripture to the contrary as they continually preach their false gospel. I really don't understand why this false gospel is allowed to be promoted over and over here. When others have come here promoting a false gospel they were confronted with the truth of Scripture and when they rejected that truth and continued to spew forth their false gospel they were warned to keep their false gospel to themselves or be banned. This current false gospel attack is worse than some others as this one is gaining a growing foothold among discontent Christians and therefore is leading many more astray and not just from the fringe. How many times does Scripture say we are to try and correct those who spread such as a false gospel before we cast them away? It would seem we are far too slow in obeying this. You're right John. That's why I left before. I know of two people here that are unrepentant sinners. That sin has caused God to turn his face from them, they are cut off from above until they repent and have their fellowship with the Lord restored. On their own, they have wandered off the reservation as the saying goes with some truly foolish beliefs. I'm apt to ignore and do as Titus says; what do you think? The answer lies in the necessity for the Apostle to the Gentiles writing the book of Galatians -- discerning the purely Israeli (Jewish) message from the Pauline revelation of the Grace of God. Those people, in any dispensation, who believe that adhering to the Law, can justify a person is totally mistaken. Peter and John preached the same gospel and Paul did not write the book of Galatians to discern between the pure Jewish message supposedly preached by Peter from the Pauline revelation of the Grace of God. Peter preached salvation by grace just the same as Paul did. The twisting of the scriptures to say that a person is saved differently under the Law and during the Tribulation Period is erroneous doctrine. Then, according to your theology, nothing can separate you from eternal salvation, even "taking a mark" (of the beast). BTW, the purpose of writing Galatians was that they were being influenced by Judaism and failed to understand the Gospel of Grace. The Gospel of Grace resulted in the persecution of Paul his entire ministry. Today, Paul would be accused of "easy believism" and be persecuted by most churches. Those born again in Christ will not take the mark of the beast. The mark will separate the sheep from the goats as only the unsaved will take the mark. Indeed, in the matter of Bible study, precision of details matters greatly. Such is actually what "rightly dividing" means. It means cutting a precise line of understanding precisely in accord with the predetermined pattern of truth, which predetermined pattern was established by the inspiration of God the Holy Spirit. 1. About whom is Hebrews 6:4-6 speaking? 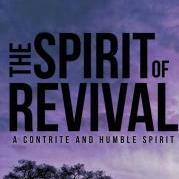 It is speaking concerning genuine believers, since only genuine believers are "made partakers of the Holy Ghost." 2. What is impossible according to Hebrews 6:4-6? To renew believers who "shall fall away" unto "repentance." 3. Do genuine believers need at times to come unto a place of repentance? Yes, Revelation 2:5 is an example. 4. Does Hebrews 6:4-6 say anything whatsoever about losing "salvation" and/or about not being renewed unto "salvation" after losing it? No. 5. What happens when a genuine believer is not able to be renewed "unto repentance"? Consider the conclusion of 1 John 5:16 & consider 1 Corinthians 3:15. Our pastor warned today against getting distracted or bogged down by those who promote a false gospel. If they outright reject the truth after two attempts then they demonstrate they have hardened their hearts to the truth and we should separate from them. Clearly Peter believed that the Gentiles were born again the exact same way they, the Jewish believers, were. Apparently they preached the same gospel, heard the same gospel, and the result was the same-salvation, and receiving of the Holy Ghost. So where are the two different gospels? Galatians1: 8 But though we, or an angel from heaven, preach any other gospel unto you than that which we have preached unto you, let him be accursed." Have you ever considered that you have followed a rabbit trail that does not exist? Doesn't it make much more sense to realize that God revealed to Paul the wording and way in which he was to preach the SAME Gospel but to the gentiles who had no exposure or experience with the Law or Ordinances? Heb 11:6, But without faith it is impossible to please him: for he that cometh to God must believe that he is, and that he is a rewarder of them that diligently seek him.